The Whole of Football Plan (WOFP) setting out a 20-year vision for Australian Football was unveiled today after an unprecedented consultation with the Australian Football community and major stakeholders. More than 20,000 people joined an online survey, hundreds attended 13 community forums and the game’s leaders and key commercial partners provided individual feedback. Speaking at today’s WOFP launch in Sydney, Football Federation Australia Chairman Frank Lowy AC acclaimed the unity of purpose behind the plan. “Ten years ago at the outset of Football’s new beginning, publishing a Whole of Football Plan for the decades ahead would have appeared premature and overly optimistic,” said Lowy. “We first had to rebuild the foundations and restore credibility to our game. FFA CEO David Gallop said the WOFP would provide the landmarks towards the strategic objective of becoming the largest and most popular sport in Australia. “Football is on a mission to become the largest and most popular sport in Australia,” said Gallop. “It’s a bold idea, but now is the time for the Australian Football community to bring it to life. Gallop also made the point that in developing this plan, Football has made a decision not to be limited by the game’s resources in 2015. The WOFP was released today in a multi-media format. Fox Sports broadcast and live streamed a 30-minute special presentation and a new website www.wholeoffootballplan.com.au containing video, text and graphics was launched. The WOFP will now provide a template for the next FFA Strategic Plan for the period 2015-19. This will be published later this year. 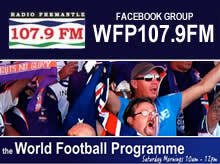 The WOFP has been endorsed by the nine State and Territory Member Federations and the 10 A-League clubs.